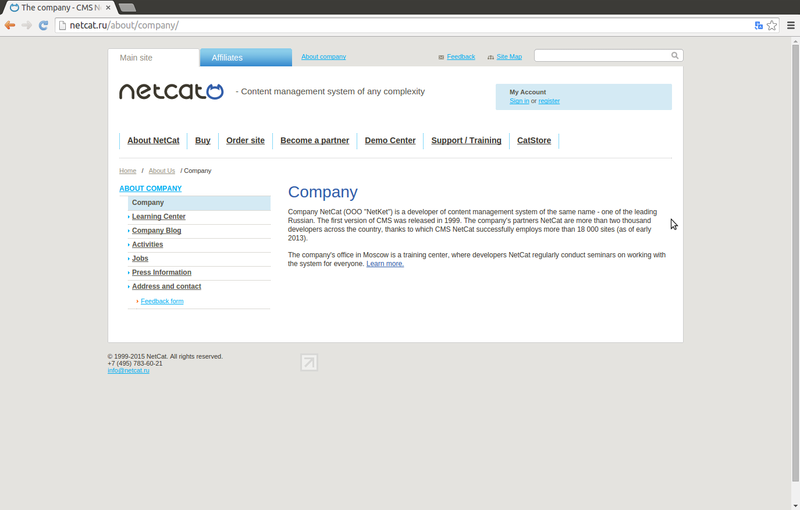 NetCat web application has a computer security bug problem. It can be exploited by HTML Injection attacks. Hypertext Markup Language (HTML) injection, also sometimes referred to as virtual defacement, is an attack on a user made possible by an injection vulnerability in a web application. When an application does not properly handle user supplied data, an attacker can supply valid HTML, typically via a parameter value, and inject their own content into the page. This attack is typically used in conjunction with some form of social engineering, as the attack is exploiting a code-based vulnerability and a user's trust. Several NetCat products 0-day vulnerabilities have been found by some other bug hunter researchers before. NetCat has patched some of them. Web Security Watch is an aggregator of security reports coming from various sources. It aims to provide a single point of tracking for all publicly disclosed security issues that matter. "Its unique tagging system enables you to see a relevant set of tags associated with each security alert for a quick overview of the affected products. What's more, you can now subscribe to an RSS feed containing the specific tags that you are interested in - you will then only receive alerts related to those tags." It has published suggestions, advisories, solutions details related to cyber security vulnerabilities. (2.1) The programming code flaw occurs at "/catalog/search.php?" page with "&q" parameter.